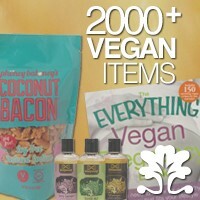 Learn more about how to start eating vegan! Burgatory's veggie burger, the Phat Patti's Veggie Burger, is vegan! You can order it straight from the menu without cheese or build your own with your own choice of rubs, sauces and toppings on their cool custom creations order tablet. The wheat bun and herbed focaccia are both vegan. I just found out that every Tuesday is veggie day at Burgatory! All day on Tuesdays, they "feature a vegetarian, and easily veganized, Burger of the Day and a Vegan Shake Special." Last Tuesday their B.O.D. was a Black Bean and Corn Burger. They also regularly use the Vegan Phat Patti's Veggie Burger in the veggie day specials. Some recent vegan shakes: Orange Creamsicle, Chocolate Peanut Butter, Peanut Butter & Pretzel, Strawberry Banana and Chocolate Covered Strawberry. The person I was in contact with said, "We love taking great care of our vegan guests." Burgatory also has a good variety of beers and yummy/unique mixed drinks. 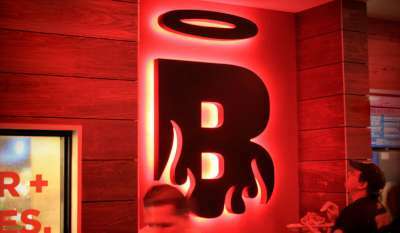 In addition to the Fox Chapel (Waterworks) restaurant, Burgatory has a restaurant in Robinson (The Pointe), Consol Energy Center, and in Homestead (The Waterfront). Sometime in 2014, they plan to open a restaurant in Murrysville (Blue Spruce Shoppes). Let us know what you think about this awesome vegan friendly restaurant: Burgatory in Pittsburgh, Pennsylvania. We also really like this restaurant when we are hungry for a burger out or heading home from the airport. They have a tablet and pencil on the table so you can create your own burger also, as far as the fixings to make it custom. You can get veggies or a quinoa salad as a side. Nice! Yes, those vegan shakes are delish. Have shared the Chocolate Peanut Butter with someone before. You have to try one. They are special. There is always a wait but, it goes faster than they say. They text your phone when your table is ready. Great idea.